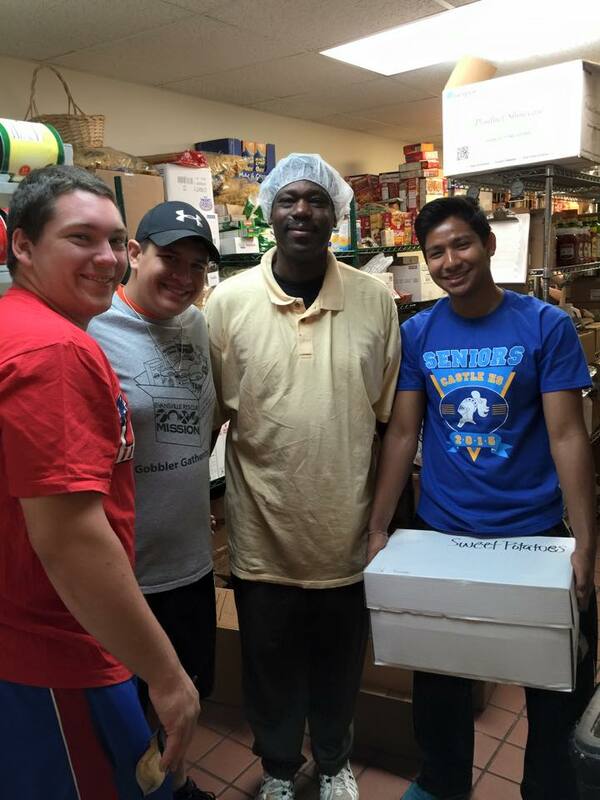 Volunteer at the Evansville Rescue Mission! by donating your time and talents. Whenever you did one of these things to someone overlooked or ignored, that was Me – you did it to Me. Volunteers are a vital part of achieving our goal of making sure every man, woman and child we serve are equipped to be productive citizens who enjoy lasting success in Christ. Donating your time to ERM allows volunteers to demonstrate the unconditional love and acceptance of Jesus to our residents. With such a diverse ministry and a limited staff size, we rely on the community to come along side of us and help us accomplish what God has called us to do to ensure that each of our ministry divisions are running smoothly. We could not complete this significant work without the energy, enthusiasm and compassion of our faithful volunteer base. Our volunteers are the lifeblood of our ministry. We could not operate at the level we do if it were not for our volunteers. Your willingness to give of your time helps us fulfill our mission of serving others. 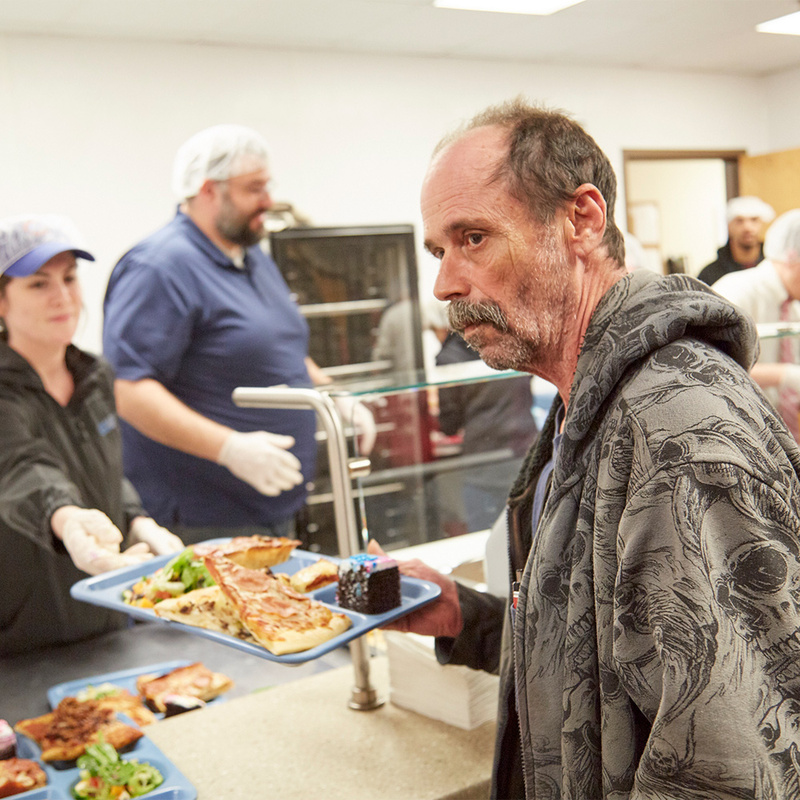 We serve three hot meals a day, seven days a week at our Residence Center, located on our main campus at 500 E. Walnut St., Evansville, IN 47713. These meals are open to our homeless guests here, as well as the general public, so we are always looking for helping hands to help better serve those dining with us. This location, at 421 E. Sycamore St., Evansville, IN 47713, just north of our main campus, serves as the drop-off center for all non-food donations. ERM’s Donation Center is open Monday through Friday from 8am to 5pm and Saturday from 9am to 2pm. Here, we need volunteers to help unload, sort, tag and prepare donations for distribution to our two ERM Thrift Store locations. We have a limited number of volunteer spots available in our Administrative offices at our main campus, 500 E. Walnut St., Evansville, IN 47713. Here, volunteers help with basic clerical work such as stuffing envelopes, sorting mail, making copies, filing and shredding documents, etc. These types of behind-the-scenes tasks help our staff stay on top of administrative responsibilities so we can better serve our guests and the community. 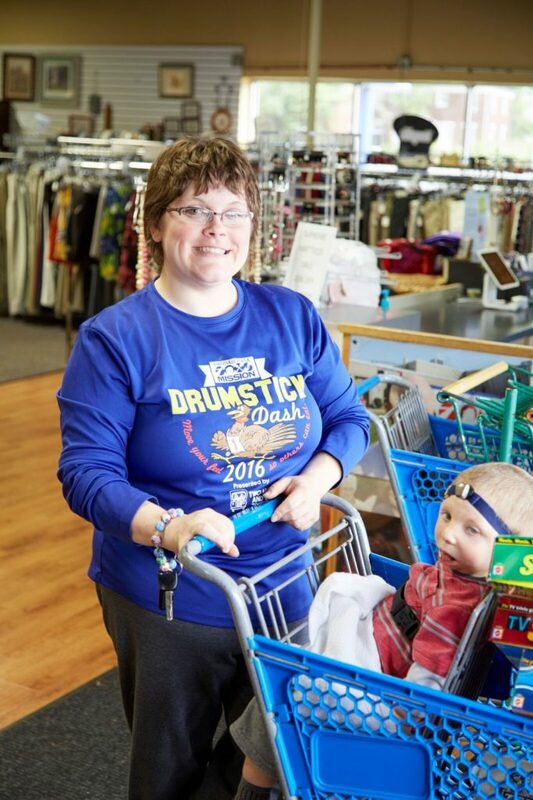 ERM has two Thrift Store locations in Evansville where we sell gently-used clothing and household items. All the proceeds of these sales go directly back to your Evansville Rescue Mission. Here, volunteers help sort and tag clothing, and organize the sales floor for our customers. Our ERM Thrift Store hours are Monday through Friday from 9am to 4:30 pm (for both of ERM’s two Thrift Store locations) and Saturday from 9am to 2pm at our Washington Avenue ERM Thrift Store. During the summer months, your ERM also has a number of volunteer opportunities available at Camp Reveal. 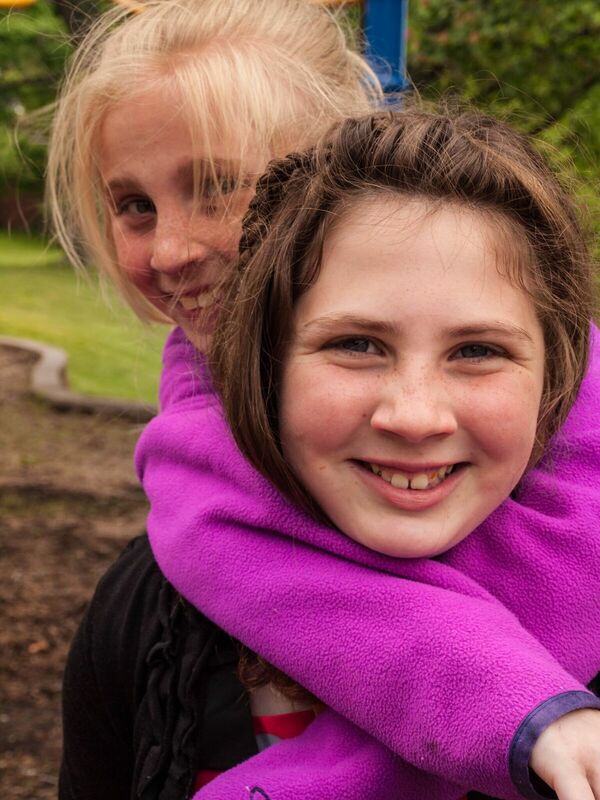 Our 105 acre campground/retreat center, located ten miles north of Evansville, serves as the grounds for our two summer camp programs for Tri-State children during the warmer months. We also rent this facility out to various organizations throughout the year. Camp Reveal is the perfect site for a variety of service projects for small and large groups alike. Camp Reveal is located at: 1042 E. Boonville-New Harmony Rd., Evansville, IN 47725. Thank you to everyone who volunteered at the Evansville Rescue Mission’s booth at the annual Fall Festival. Check back again for next year’s volunteer sign up link. Thank you to everyone who volunteered at the Evansville Rescue Mission’s 7th Annual Drumstick Dash. Thank you to everyone who volunteered for the Evansville Rescue Mission’s 96th Annual Gobbler Gathering. Check back again for next year’s volunteer sign up links. How many will be in your group? Where did you hear about the Evansville Rescue Mission's need for volunteers? Submitting your volunteer application indicates that you have read and agree with the following statement: I understand that completing this volunteer ministry application does not grant me a position as an Evansville Rescue Mission volunteer. I understand that before making any determination as to my eligibility to serve as a volunteer, the Evansville rescue mission may review my application, perform necessary background checks, and conduct in-person interview. I also understand that my volunteer work at the Evansville Rescue Mission is at-will and that either the organization or I may terminate this relationship with or without cause at any time. I also confirm that all statements made on this application are true and complete to the best of my knowledge. I understand that any false statements, omissions, or other misrepresentations made on this application may result in my denial or immediate dismissal as an Evansville Rescue Mission volunteer. The Evansville Rescue Mission may use any photos of me and my family taken during volunteer service or Evansville Rescue Mission events for various media publications. As a volunteer, I understand that I am not paid for my services and I will regard any assignments given to me as a serious commitment and will fulfill each task to the best of my ability. •	Long pants are strongly recommended when volunteering in the kitchen. •	Volunteers must wear closed toed shoes while volunteering in the kitchen, at either thrift store, and at Camp Reveal •	A hairnet must be worn if working in the kitchen. Hairnets will be provided. Hairnets are required at all times while volunteering in the kitchen. All hair must be inside the hairnet. •	Volunteers must wear clothing that is deemed modest by staff. Please do not wear midriff-revealing tops, short shorts, muscle shirts or anything tight-fitting. •	Clothing worn by volunteers must not portray alcohol, cigarettes, drugs or sexual or violent themes. •	Dangling or loosely worn jewelry should be removed before arriving. •	Volunteers are asked not to share personal details such as home address or phone/cell number with Mission Clients. •	All personal information about Mission Clients is strictly confidential except when he/she shares information about matters with legal consequences such as someone being in danger or endangering others. In this case, volunteers must report the information to the staff person in charge. Programs are violence-free and drug-free environments. Volunteers are not to smoke, drink alcohol, use drugs or carry weapons on site. •	Volunteers are to engage in gracious and edifying conversation. •	As ERM is a faith-based organization, volunteers are asked not to present or promote a worldview that is in opposition to the Christian worldview that is the very fabric of our ministries. •	Harassment of any kind is not permitted and is subject to disciplinary action by ERM and/or local authorities •	ERM is not responsible for the personal property of volunteers. •	Volunteers are not to engage in a private transaction involving gifts, services or money with any Program participant. Any gift should be directed to or channeled through the organization. Volunteers may not accept money or gifts from Program participants for services rendered. •	Volunteers are not permitted discounts at the Evansville Rescue Mission Thrift Store. •	Volunteers agree to indemnify ERM and/or any or its separate entities against all claims, demands, judgments, and executions that ERM and/or its staff may sustain arising from my volunteer actions, whether or not such claims, demands, judgments, and executions are discovered during my volunteer work. If any of these volunteer opportunities sound like something you might be interested in, please see the calendar above to find out when you can help. Get started as an ERM volunteer by submitting this Application.